This past weekend, our church held its annual Vacation Bible School program. 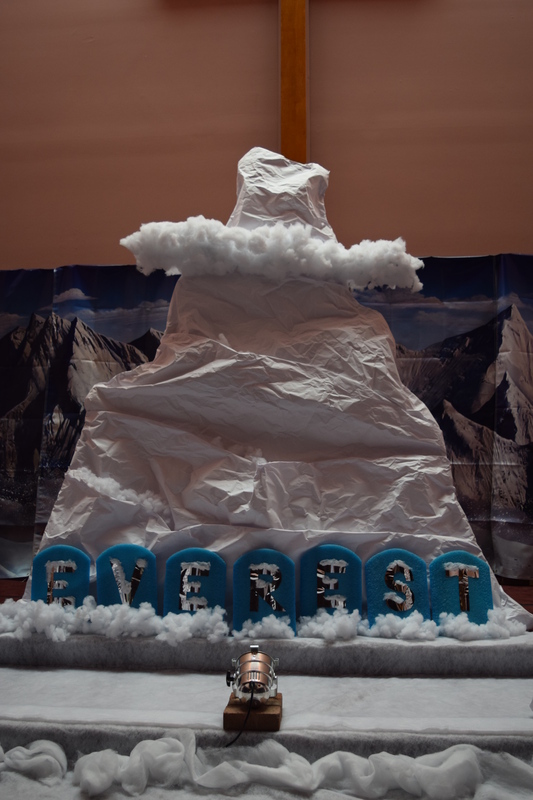 This year’s theme was “EVEREST- Conquering Challenges with God’s Mighty Power” by Group Publishing. Church members and the greater church community came together to put on an amazing weekend for about 100 children. Some churches have a morning program, some have an evening program, but our church has a weekend program.Weekend Vacation Bible School begins on a Friday night, goes all day Saturday, and concludes Sunday morning in a dynamic, high-intensity, family friendly worship service. Five years ago, we switched our format from a week-long, evening schedule to a jam-packed, weekend schedule. Those who worked during the week, were freed up to volunteer on the weekend and our volunteer base increased. The evening program was exhausting for all who attended and volunteered. Some parents told us it was hard for their children to be out so close to bed time. The weekend program was one session at night and “three” day time sessions. 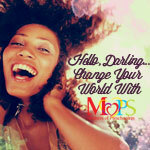 It was a successful change and we have been improving and making fine adjustments since . 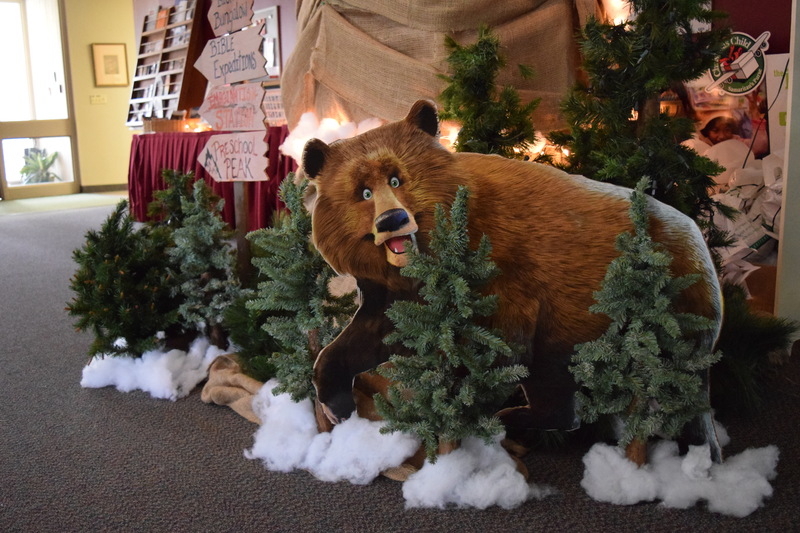 After stepping down as VBS Director, my involvement with VBS came in the form of heading up decorations. My husband and a great crew of creative people help me bring my grand decorating visions to life. I love working on these types of projects. People, that may or may not have ordinarily spoken to each other, working side by side towards completing a common goal. Big projects like this lead to discussions. Discussions lead to discovery. Discovery helps find similarities, common ground, and form and strengthen friendships. 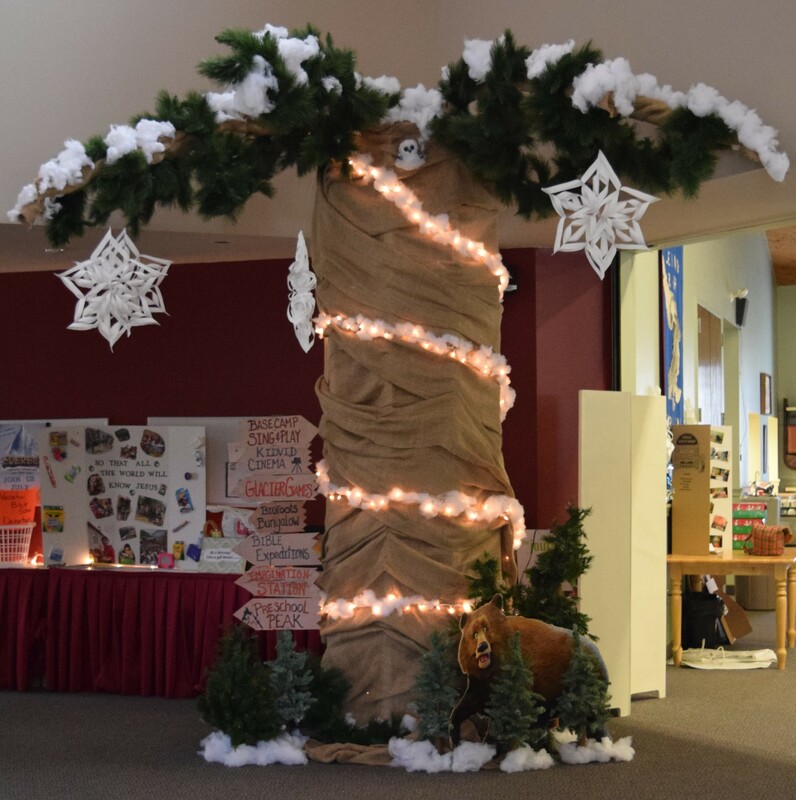 As the leader of my Creative Bunch, the completion of the decorations were not the things that made me happiest, it was the conversations and relationships that were built. 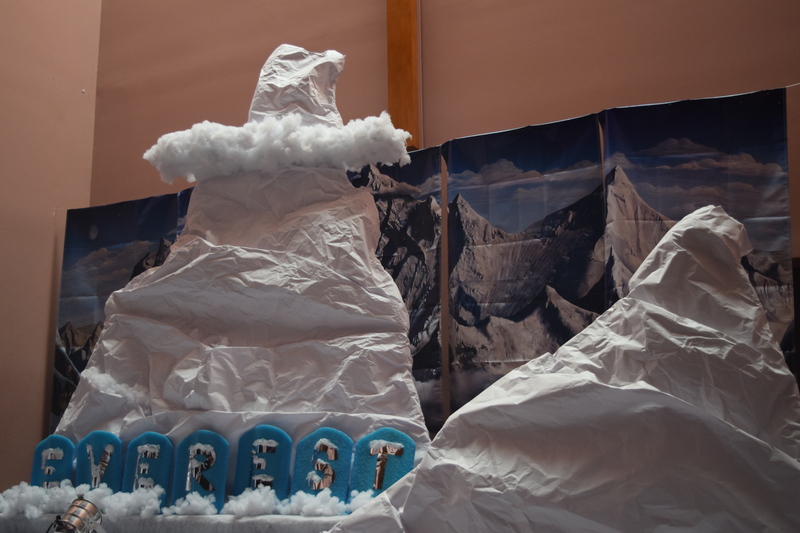 EVEREST Stage- We created three mountains out of wood and crumpled, white bulletin board paper. Compared to foam, it was less expensive and better for the environment. For the large cloud, we followed the directions Group provides. 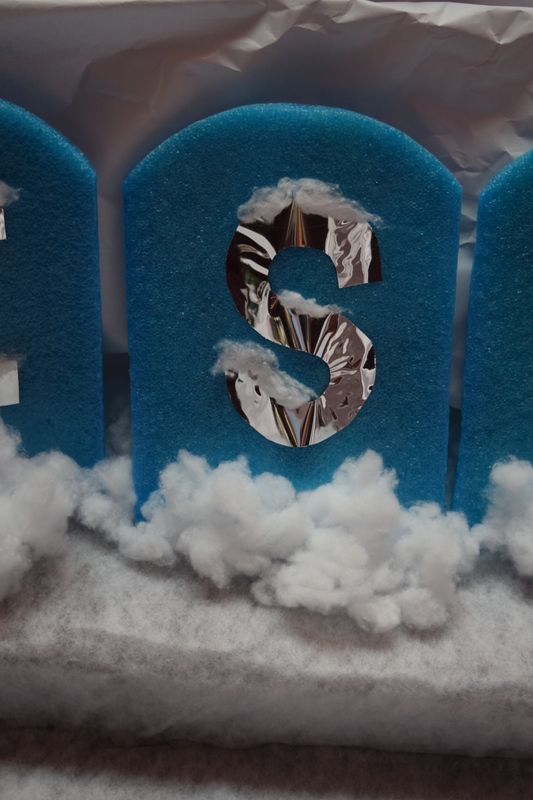 Our letters were made out of kickboards bought the dollar store., silver paper, and fiberfill. The backdrop panels were purchased from Group. Base Camp Store– My husband created this store from an old chalkboard, choir risers, and some old doors. One of my volunteers did the chalk art. We filled the store with donated items. 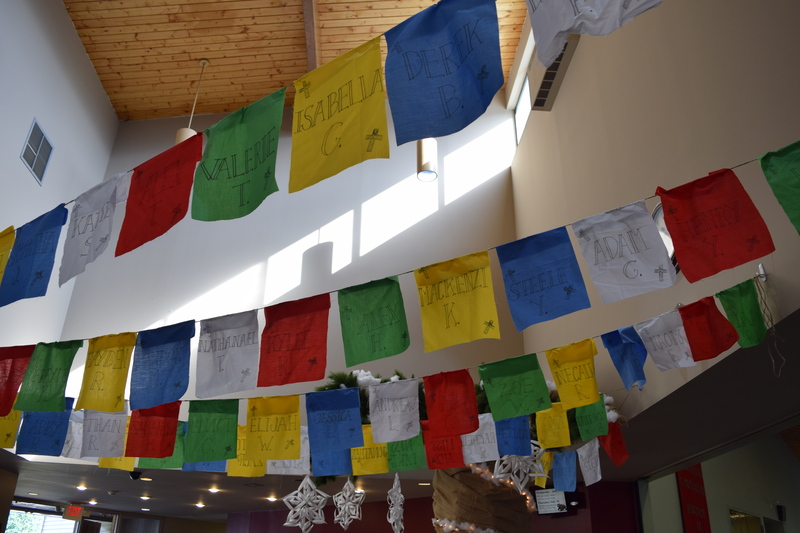 Prayer Flags- On lightweight fabric, I wrote the names of each child that would be attending VBS. I included the names of each Junior Crew leader, the VBS Directors, and Pastors of the church. The flags were a colorful addition in the entry way. During the weekend, I noticed children and parents finding their flags. 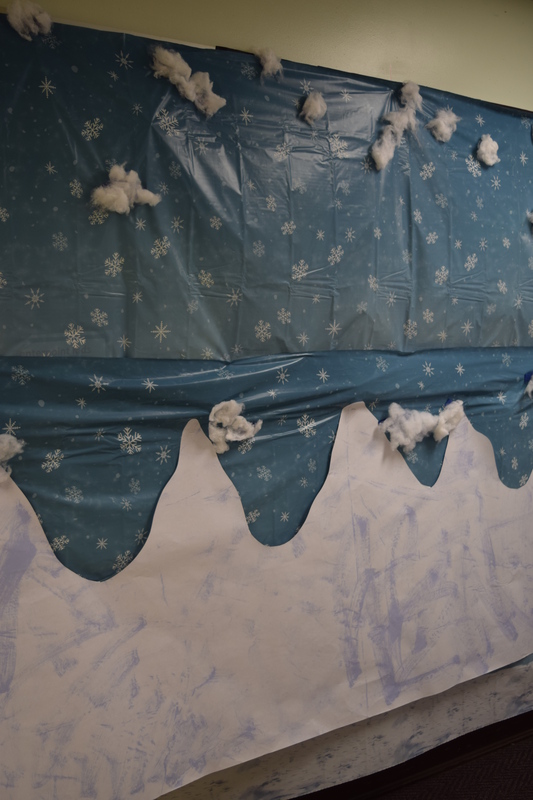 Hallways and Walls- We covered bulletin board with the plastic snowflake drop, added paper mountains, and some fiberfill clouds. 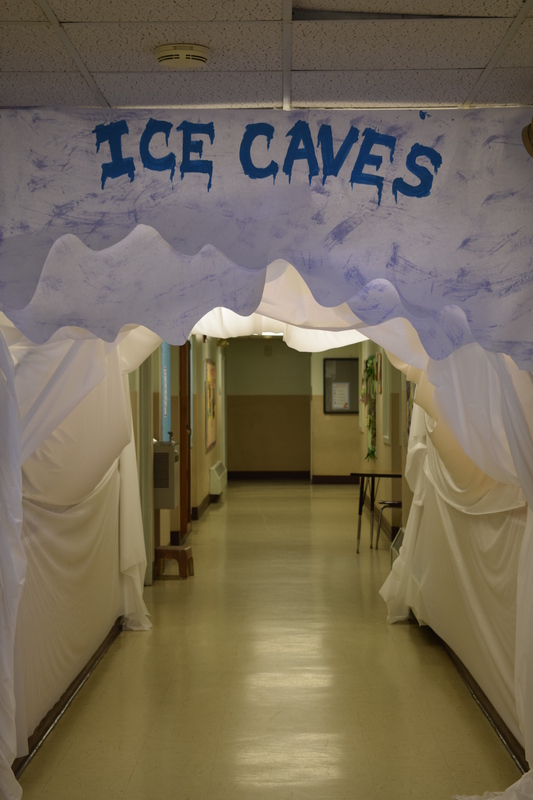 Our Ice Cave was created with PVC pipes and tableclothes. 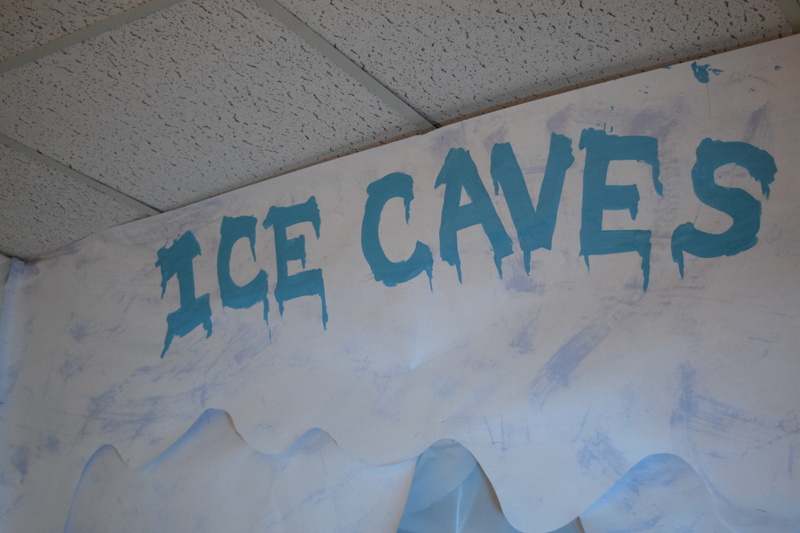 For added effect, we had planned to use a fog machine in the ice cave. We tried the fog machine a few times during the week without incident. 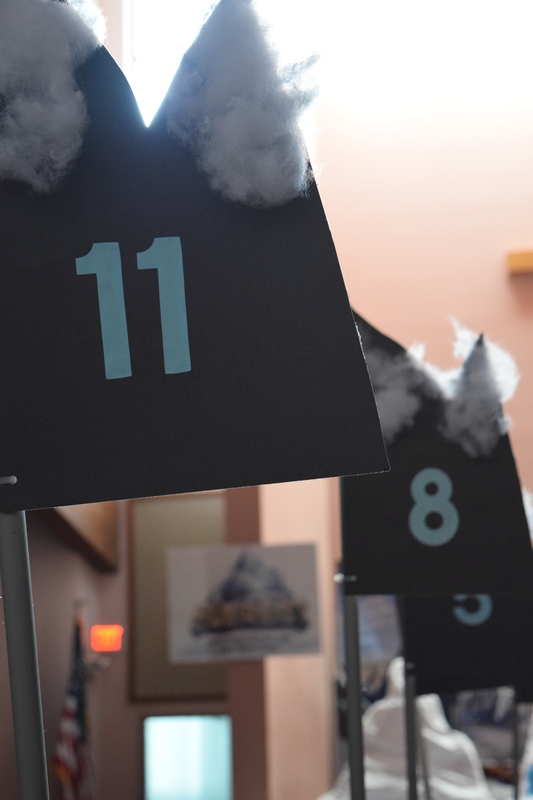 However, on the first night of VBS, my husband started the fog machine just before the first station rotation. It triggered the smoke alarm and the whole church needed to be evacuated. Thankfully, it took about 15 minutes from alarm start to getting back into the church. This was not the first visit from the fire department during a VBS weekend but we hope it will be the last. How was your VBS? 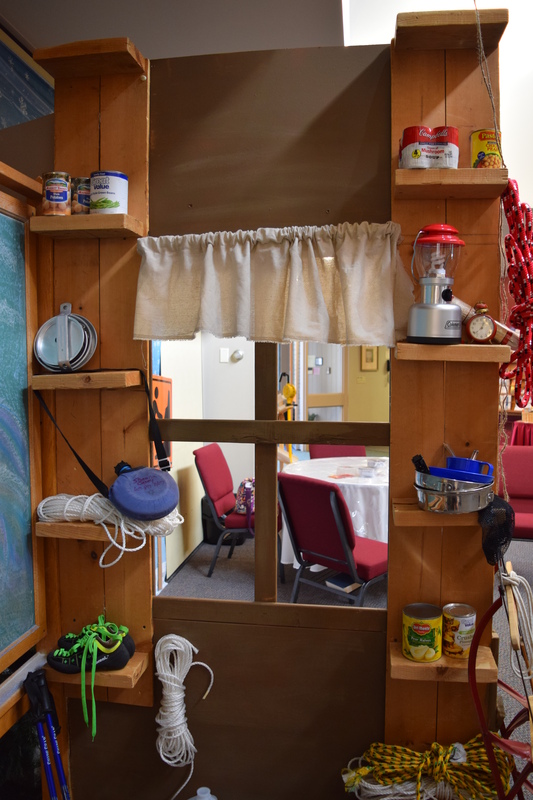 What VBS curriculum does your church use? 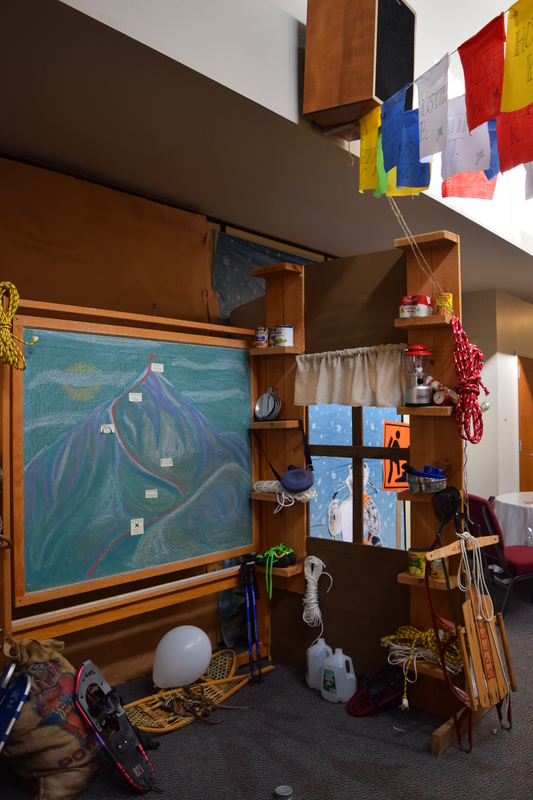 This entry was posted in EMBRACE Creativity and tagged decorations, Embrace and Celebrate Life's Moments, Everest VBS, Hold On, Vacation Bible School. Bookmark the permalink.